Whether or not you strike it rich in the lotto relies on a combination of two things: dumb luck and choosing the right numbers. No one can predict the outcome of a lottery draw no matter how much crazed lotto strategists may argue otherwise, but that doesn’t mean you can’t put some thought into choosing what will hopefully become your life changing lucky numbers. 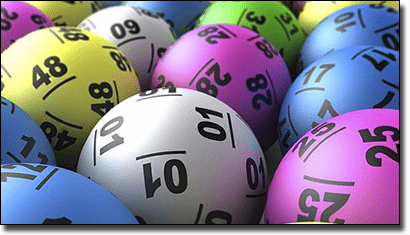 We take a look at some of the numbers commonly deemed to be lucky and the reasons behind popular choices for frequently chosen lotto numbers. This is a popular strategy applied by dedicated lotto players, those who put genuine time and effort into carefully selecting the digits on their lotto card in the hope that their mindfulness will pay off by the millions. Each year reports are generated that reveal the numbers drawn most frequently across certain lotto networks and hopeful players look to these reports to base their choices. It’s not a bad idea, but the reality is that there’s nothing to guarantee any of these numbers have a higher chance of being drawn again, although statistics can be pretty convincing. The downside of this strategy is that it’s become a very popular method for choosing lotto numbers, which means if it does pay off and these recurring numbers are drawn again, you’ll be splitting your jackpot with a lot of other winners. Ritual lucky numbers form the most common choice for people when choosing lottery numbers, especially for the more recreational punter. These are those numbers deemed lucky on a personal basis, pertaining to things like birthdays, anniversary dates, the ages of your children, the number of the house you live in, the number of your favourite sports hero, etc. These “lucky” numbers have no actual reason for being considered lucky other than their personal significance, but that doesn’t seem to be a deterrent for Aussie lottery players who continue to make their selections based on the birthday of their first born or the date of their wedding anniversary. Choosing ritual lucky numbers does come with the benefit that they won’t be forgotten, making it easy to select your picks every week. This also means you can check the lotto draw and know whether or not you’ve won without having to refer to your ticket. Of course, there are some downsides to choosing lotto numbers based on things like birthdays and special dates. Statistically, a majority of the frequently drawn lotto numbers are higher than 31, the number of possible birthdays or anniversaries in each calendar month. While it may sound pointless, many lottery players are turning to the Internet to generate their lucky numbers for them. Multiple websites offer this service, allowing users to enter info like the number of tickets they’ll be purchasing, the country the lotto is held in and the variance of the numbers within the draw. The computer uses a random number generator to select lottery numbers on your behalf, along with the statistical likeliness of all those matching numbers being drawn in your lotto of choice (for example, 2 in 175,223,510). There’s nothing about this service that will increase the likeliness of those numbers being drawn, but it makes choosing your picks easy if you want numbers based on total randomness just like the lottery draw itself. Lottery isn’t as popular in Chinese culture as it is in Australia, but that doesn’t stop us turning to the ancient wisdom of Chinese numerology for assistance with picking our lucky numbers. Chinese numerology contains some fascinating beliefs, with numbers considered especially auspicious based on the way they sound in relation to the pronunciation of a similar sounding Chinese word. Numbers are deemed lucky if they sound similar to Chinese words that have a positive meaning, especially when it comes to money. Eight – the number eight is considered incredibly lucky as it sounds similar to the Chinese word meaning wealth or prosperity. The number eight also looks like the mathematical symbol for infinity, bringing it extra good fortune. Eight is considered the luckiest number in Chinese culture and is often paired with other compound words to bring extra success. Nine – while odd numbers aren’t generally considered as lucky as even numbers, nine is the exception. Nine is considered to be a prosperous number due to its association with the Emperor of China and place in history and mythology. The Chinese pronunciation of nine is also a homophone for the Chinese word meaning “long lasting” and is used to symbolise harmony.